What are zero-byte files and how do I deal with them? 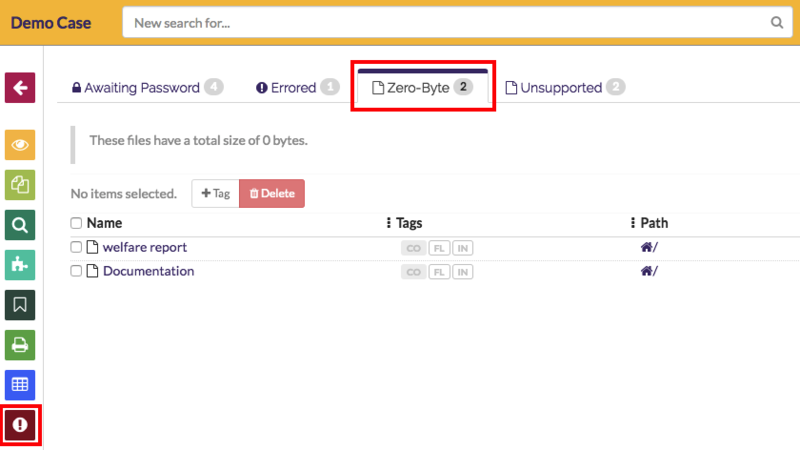 What is a zero byte file? A zero-byte file is a file that does not contain any data. While most files contain several bytes, kilobytes (thousands of bytes) or megabytes (millions of bytes) of information, the aptly-named zero-byte file contains zero bytes. Usually a file will contain at least a few bytes. For reference, the simplest type of text file–a .txt file created in notepad–that has a single text character will contain at least a few bytes of data. File uploading and downloading. Zero-byte files can occur when file transfers do not complete successfully. This may happen when a file is incompletely downloaded via the Web or an FTP (file transfer protocol) client, or when an email attachment is not transmitted correctly. The result may be a file that has a name, but no data. File properties that your operating system cannot handle. There are limits to the parameters of a file’s metadata (i.e. the data about the file like its name, when it was created, etc.) One such example is the way Windows operating systems have issues with extremely long file and folder names. Even if your client can open a file on their system, when they transfer it you it may be downloaded to a folder with a longer folder name, and this may cause the file to incorrectly save on your system and become corrupted. You’ve received a few zero-byte files. Now what do you do with them? Sadly, there’s not much you can do with a zero-byte file. They do not contain any data, so they cannot be opened and should be deleted (unless they have a purpose, like if they were intentionally created and are still relevant to your case). However, some systems may be unable to delete zero-byte files, since they may be corrupt. You might receive an error that says, “Cannot delete file: Cannot read from source file or disk,” or a similar message. In a situation like that you may need to use a workaround. To recover data that is lost in a zero-byte file, the best solution is to ask the person who sent it to you to send you the file again using a different program, if possible. Compressing the file(s) into a .zip file (using a software like WinZip or WinRAR) sometimes also helps. The problem is, often you don’t even realize that you have zero-byte files sitting around database, where you should have all the data the file was supposed to contain. And if you depend on your eDiscovery platform’s search engine to index all your files, you may be missing out on vital information. You need something to help you spot zero-byte files so you can take action to replace them if you need to. A good ediscovery platform will help you identify zero-byte files so you can take appropriate steps to replace them. Take the eDiscovery platform GoldFynch, for example–it automatically flags zero-byte files as soon as they are uploaded, and lists them for you. This list, which can be found on the “Zero byte” tab of the ‘Issues’ view, lets you know that there are files that have not been correctly received so that you can re-download them or obtain an uncorrupted version of the file from the source.